Cut waste, track printing, save money. Founded by two young software developers back in 1998, PaperCut might just be what you need to start your journey towards an active, service-oriented library. 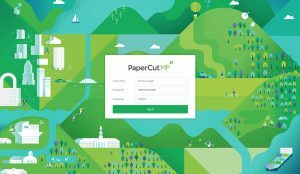 PaperCut is a print management software which automatically monitors and manages printing in your library or school, giving you control over your costs and environmental impact. The software checks print jobs on the print server and analyzes them, applying rules to enforce print policies. We’ve all been there: assignments, case studies, thesis, and all-nighters for a quiz the following day. Every student has encountered problems with printing documents and materials needed for their studies. Even students with their own printers at home had to look for printers at school because of some short-notice report or letter that needs to be submitted asap. Usually, students had to opt for piso print outside their institution because of inaccessible or non-existent printing stations inside. Modern libraries, much like many companies, evolves with the patrons’ needs. With PaperCut for Education, your library can be a place where faculty, staff, and the students alike all have the ability to print with ease and security while putting costs under control. Through PaperCut‘s Web Printing Service – which is specifically developed for education use, your library can have its own Self-Service Print Centers or Assisted Print Centers. In either scenario, every patron has a user account and pays for every print job according to the rates set by the library with minimal intervention of the librarian or the library staff. PaperCut tracks every activity – from print job statuses to adjustment of user balances – and generates detailed reports for monitoring. Environmental awareness is also emphasized in the software, which is displayed in both the user interface and the admin (librarian) interface. As a PaperCut Reseller, Electronic Information Solutions Inc. (EISI) employs trained individuals with Technical Certifications from PaperCut in order to provide quality service so that you can focus on your clientele. Our most loyal customers, diverse offerings, and world class support has made us number one in providing library automation in the Philippines, so trust us when we say that PaperCut is part of the future of Philippine libraries. Interested? Leave a message below or get in touch with our sales engineer at salesengineer@aklatan.net /call directly at 845-3507 loc. 112.